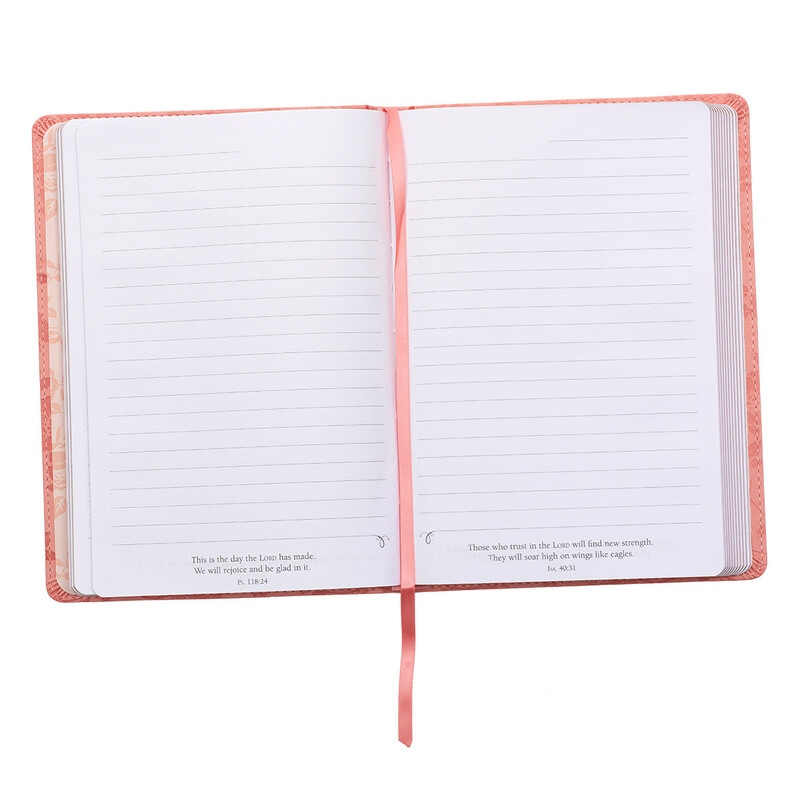 Beautiful and lasting, this attractive imitation leather journal features Bible verses throughout, and gives you the space to plan and record the events of every day. Want a beautiful book made for recording day-to-day faith? 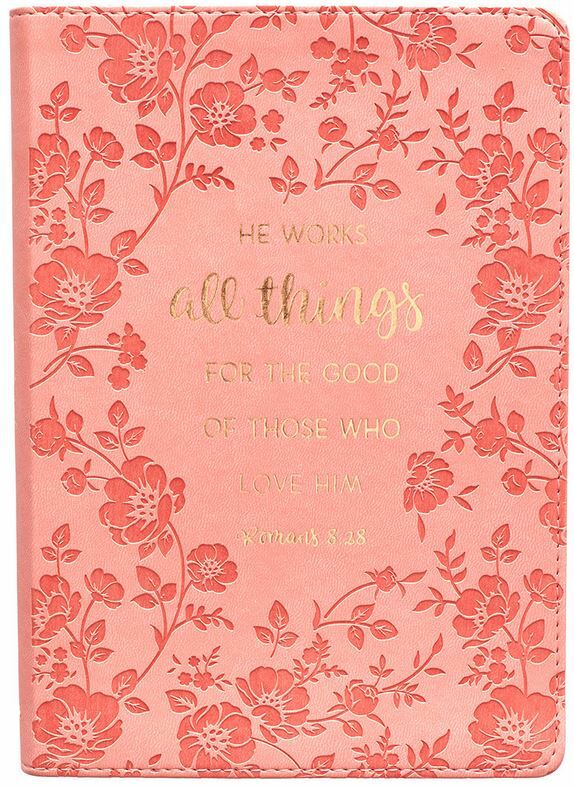 This Classic LuxLeather Journal features a paraphrase of Romans 8:28, "He works all things for the good of those who love Him," - a simple reminder that the Lord has a good plan and a good purpose for those who love Him. This journal allows users to quickly jot down thoughts and events to record how these plans of the Lord play out in real life. 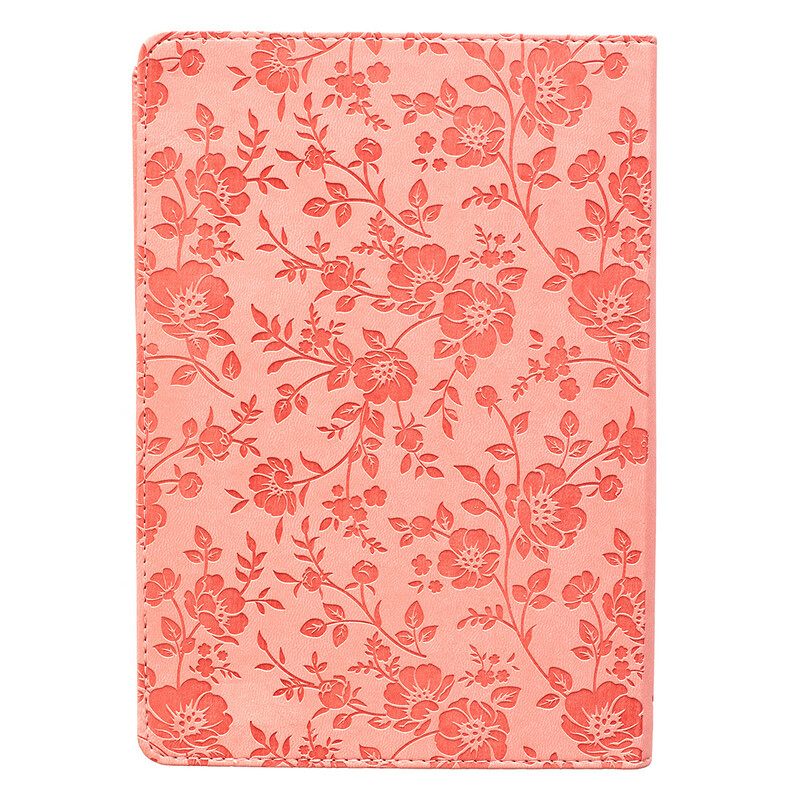 The coral LuxLeather cover has a luxurious touch. A floral heat debossed design surrounds the elegantly displayed text. Simple stitching around the edges finishes off the overall look of this journal. 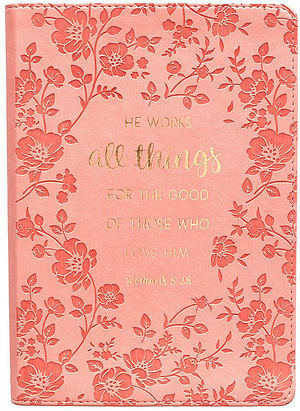 All Things For The Good Pink LuxLeather Journal by Christian Art Gifts was published by Christian Art Gifts in September 2018 and is our 7956th best seller. 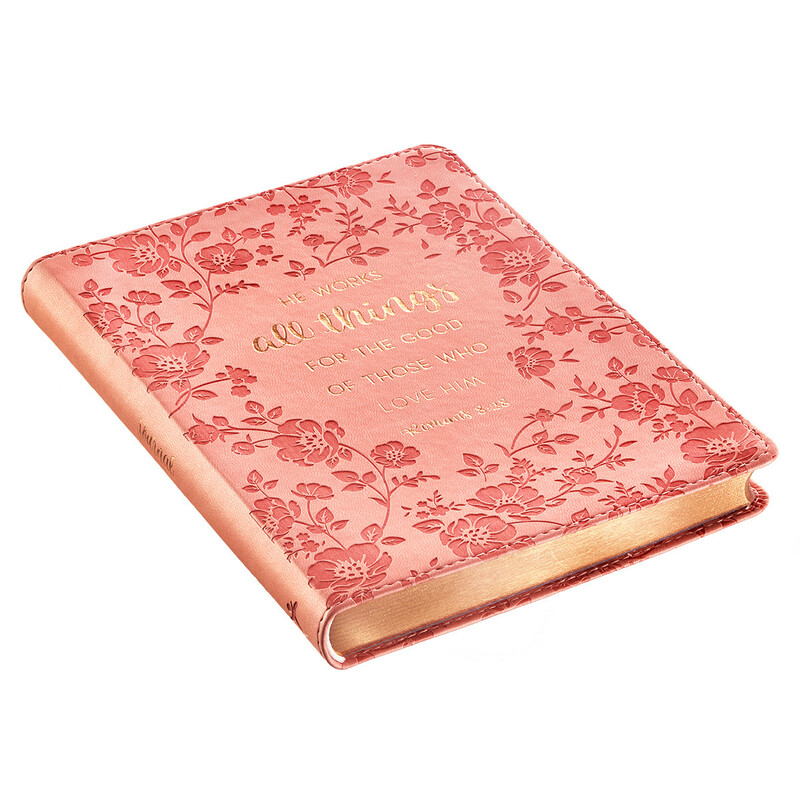 The ISBN for All Things For The Good Pink LuxLeather Journal is 9781642720105. Got a question? No problem! Just click here to ask us about All Things For The Good Pink LuxLeather Journal.